If you are going to drive an exceptional commercial real estate business over time, in either sales or leasing, the best way to do that is by finding and controlling your listing stock and clients. That means, finding the listings and controlling them before other agents get involved. Exclusivity is the active word to consider here. 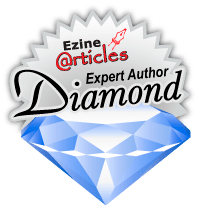 Is ‘exclusivity’ a part of your real estate business? There is a lot more growth and leverage in a real estate business when it and the team of agents focus on listing stock; the stock that it locates and then controls. For that very reason, I get quite amused when I hear of less experienced agents chasing open listings and or hoping to drive business from other agent’s listings. I liken it to ‘chasing ambulances’. It doesn’t work, and ‘desperation’ is not a good part of any real estate business. While the ‘open listing’ logic may seem useful at the start of any career, it doesn’t work long term. Specialization and focus become far more critical in an agent’s real estate career. Luck and fortune have nothing much to do with the longer-term results of a brokage career. I know that there are different ways to capture a sale or lease transaction. However, the quality part of our business is ‘exclusively’ driven. You can then work with the client knowing that they are trusting you to move the transaction ahead, and they are not talking with several other agents that are confusing the transaction and or trying to influence the outcome in their direction. Listings by number – set the numbers of exclusive listings that you can work with and serve. Be very specific. There is no point trying to promote and cover listings that you don’t believe in or like working with. Part of the decision in taking on any property or client is to commit to the process; your ‘belief’ in the property is part of that as will be the client’s targets and challenges with the property. Property types – choose the property types that are active and will have a transaction frequency in the location that supports your commission and listing goals. Location preferences – stay focused on your ‘geographical’ boundaries. In that way, you can get to know the listing stock, the clients, and the benchmarks on prices and rents. Conversion ratios – as you capture more listings, look at your conversions on exclusively held properties. You should be converting at better than 75% to a successful sale or lease. Commission tracking – there are differences in leasing and sales commissions today and how they are achieved; planning is required. You can work in both markets, and with selected property types. Importantly, put some ‘quality’ in the properties that you work with. Quality locations, properties, and investments create better and faster outcomes with most listings. When you look at these things, you can see how your numbers and your focus becomes a big part of your real estate business. Set your plans and your activities into a systematic business model as an agent or broker. Know your listings and your numbers in the commercial real estate business. 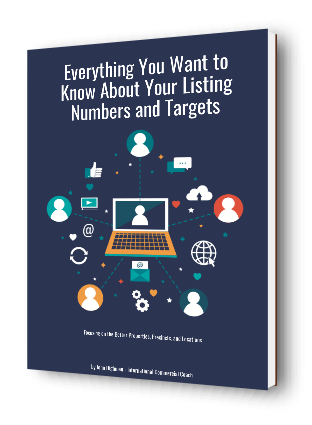 Listing Numbers ebook for commercial real estate brokerage. « Previous Post Here is a Plan for Successful Cold Calling in Commercial Real Estate Brokerage Next Post » What is Fixing Problems in Commercial Real Estate Sales and How Does it Work?